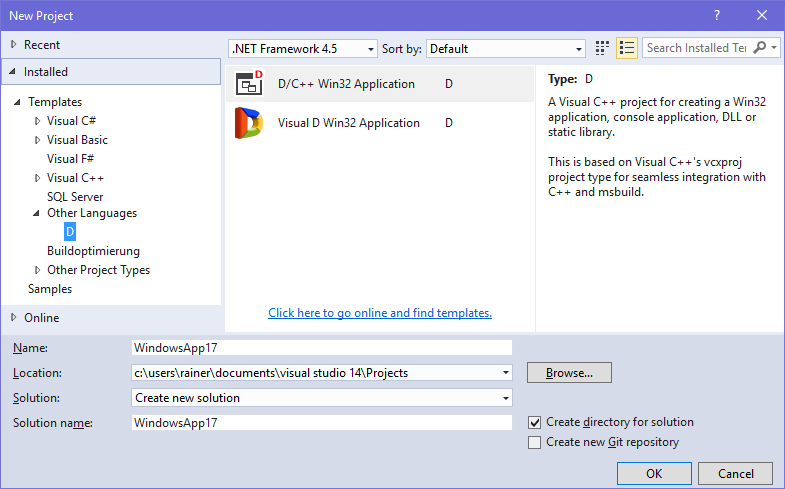 To create a new Project, navigate to the menu File -> New -> Project and select the "D" entry in the "Other Languages" branch. There are two template types to select from. 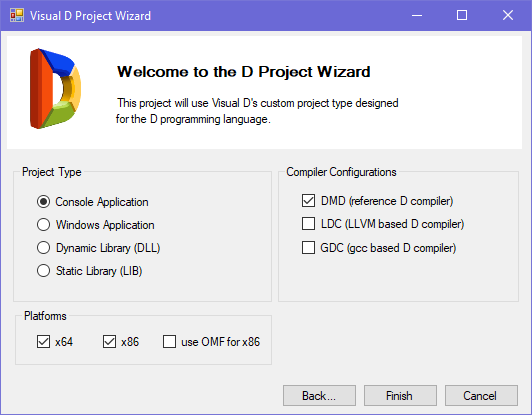 Options GDC and OMF are not available for the Visual C++ project types.